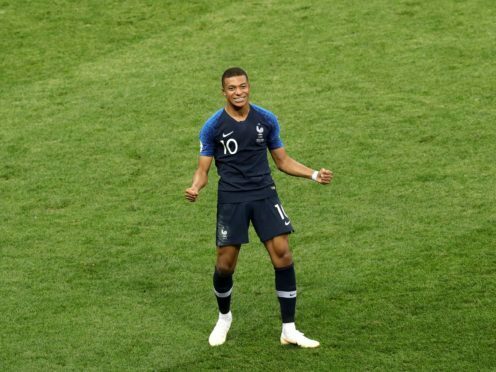 Mbappe’s strike, France’s fourth in a 4-2 win, generated the most tweets per minute, with Philippe Coutinho’s goal in extra time during Brazil’s match against Costa Rica in second place. South Korea’s surprise 2-0 defeat of Germany landed at number three. Around 115 billion tweets relating to the World Cup were viewed on Twitter, with the majority heating up during the final on Sunday. “We saw the bulk of the conversation during the live matches, including during the final match between France and Croatia, which was the top tweeted match of the #WorldCup,” Twitter said. The Brazil v Belgium quarter-final was the second most-tweeted match, followed by Brazil’s 2-0 win against Mexico on July 2. Brazil may not have taken the trophy but the nation tweeted most about the World Cup, and the Selecao were also the most-mentioned team. The UK was number three among countries to tweet most, behind Japan, while England was the fourth most-mentioned team. 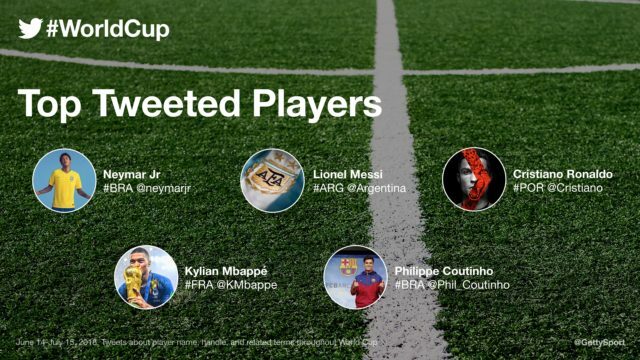 Brazil’s Neymar was the most-mentioned player, with Lionel Messi, Cristiano Ronaldo, Philippe Coutinho and Mbappe also in the top five. Instagram also released some World Cup stats which showed that Ronaldo picked up 5.8 million new followers, bringing his total to 135 million. More than 272 million people on the photo-sharing app interacted with World Cup-related content during the tournament in Russia, with more than 3.2 billion interactions.